Kevin Jones, CEO of KJE Inc. Since a young age, Jones has had the determination to become successful after experiencing many factors of harsh reality in his life as a youth. Overcoming those challenges, he has taken on odd jobs to make money for food, clothing and fun. Not taking credit for himself, there has been countless family members and mentors who has molded him into who he is today. Before Business In A Bucket was invented, the soon to be entrepreneur had hard times finding a job in his adulthood. His wife saw the passion in him for detailing cars. Eventually, she would encourage him to start his own business. At home, he would begin using their brand new towels to wash and wax the family car. It started out with friends, and then he sought out clients. Later, he became a legal business. When friends started asking him for tips on detailing, he came up with the idea to write a book. Two years later after he decided to go over the notes he wrote for his book that was stored away for nearly a couple of years, he was introduced to Dumas Martin Jr., the president of The Idea Club. Mr. Martin taught him how to market his product. “The book “The Owner’s Guide to Auto Detailing” has led to the product growth of Business In a Bucket. “I knew we needed to enhance our brand with a spokesperson. What better way to combining my childhood mentors with Uncle Shookey! He gives the company a voice,” expressively says the New Orleans native. Consciousness Magazine would also like to recognize and celebrate Kevin Jones for his initiatives as an entrepreneur. His loving and caring spirit for the youth has inspired many, while empowering them to have a prosperous and bright future. As a successful business owner, speaker, and motivator, he continues to make a difference in the community, as well as in people’s lives. Kevin, thank you for your work of excellence! 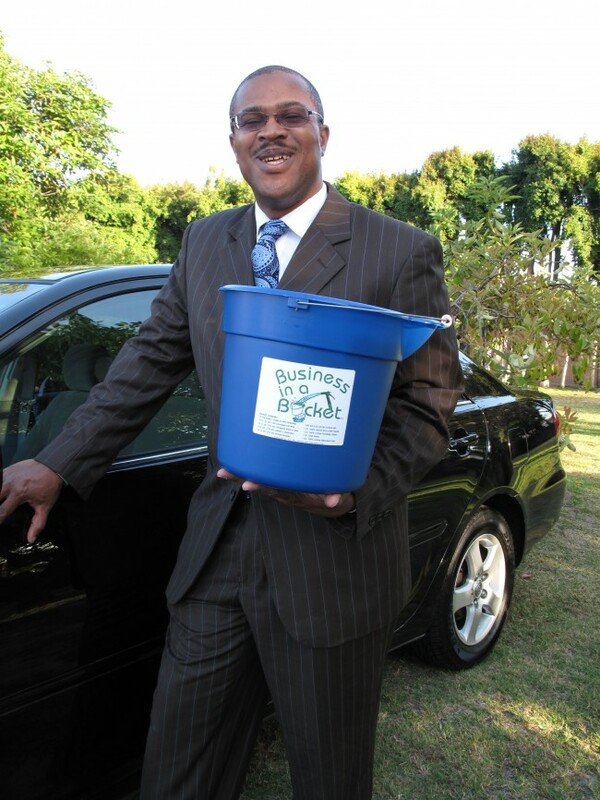 For more information on Kevin Jones and the wonderful things that he has been doing for the community, please visit http://www.businessinabucket.net.